Long ago, as a Camp Fire Girl, our troop washed windows at Christmas time in Scottsdale, AZ. We used vinegar and water to wash the windows and old newspaper (back when people still actually read the paper) to dry and polish them. We made a bunch of money for our fund raiser, had great fun and cleaned a lot of windows for very little supply cost. Vinegar is cheap and environmentally friendly. It can be a great frugal alternative to many cleaning and pest problems. In the movie ‘My Big Fat Greek Wedding’, one of my favorite quotes is “Put some windex on it” – a cure for anything that ails. That saying could well be “Put some vinegar on it”! In case you aren’t aware, vinegar can be used for a myriad of purposes – ranging from diabetics treatment to pickling agent to cleaner. Here, for your reference are 101 uses for vinegar. Disclaimer: Most of these are folk remedies and have not been scientifically proven. For instance, (although not included below) some folks think vinegar helps get rid of head lice. This has been studied and found to be untrue. Some medical research has been done and is proving out (or at least failing to disprove) some of the health claims made for vinegar. Dog or Cat Pest fighter – one teaspoon to one quart of water (for a 40 pound animal) keeps fleas and ticks at bay. Remove built up calcium deposits – soak affected item in white distilled vinegar for an hour or so, then remove and rinse. Queasiness relief – mix some honey into apple cider vinegar and drink. Stop itching – mix cornstarch with vinegar to make a paste and apply to itchy spot. Clean garbage disposal – pour 1 c. of vinegar into an ice cube tray, fill with water and freeze. Crunch up the frozen ice cubes in your disposal. Reduce toenail fungus – soak feet in mix of 1 part vinegar, 2 parts water for 15 minutes a day. Bonus – this also can soften your feet. Easter Eggs – mix vinegar with water and food dye, place hard boiled eggs in mixture and let them soak. The vinegar helps keep the dye from streaking. Remove water marks from furniture with a mixture of vinegar and olive oil – rub in direction of grain then polish with a soft cloth. Clean mineral deposits out of automatic coffeemakers – brew up a mixture of water and white vinegar and run the machine as if you were making coffee (except you don’t need a filter). Remove water marks from bathroom chrome – scrub the fixture with full strength distilled white vinegar, then polish dry. Increase calcium absorption from food by adding a little vinegar to the recipe – the acetic acid in the vinegar liquifies the bones and shells allowing them to be better absorbed. Aid in treatment for diabetics – ask your doctor about this one, but raw apple cidar vinegar has been researched as a treatment for Type II diabetes. Lower cholesterol by taking 15 ml of vinegar a day – research by a Japanese company found that this reduced cholesterol significantly. (I took red wine vinegar supplements for about a year and it did lower my cholesterol). Stop cravings – add apple cider vinegar to water (2 teaspoons to 6 ounces) and drink to reduce sugar cravings. Kill weeds outside by pouring full strength vinegar on them. Note that this probably doesn’t kill the roots, just the tops. Get acid to acid loving plants by watering them with a water/vinegar mix occasionally (acid loving plants examples are blueberries, azaleas, pine and etc). Sprinkle your kids sandbox with vinegar to help keep the cats from using it as a liter box. Cats hate the smell of vinegar. Douse anthills with full strength vinegar to get the ants to go away. Wash fresh produce with a mix of a tablespoon of white vinegar with 1. 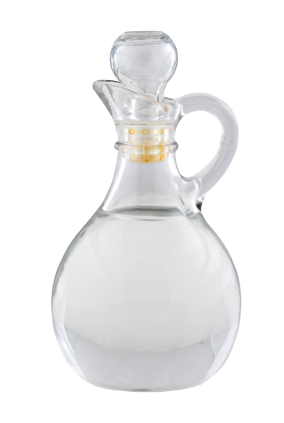 5 quarts water – this helps kill e. coli germs! Remove vomit smell in a car by leaving a bowl of vinegar in the car overnight (after cleaning up the mess of course!). Shine up your pets hair by spraying them with a mix of 1 cup of distilled white vinegar to a quart of water. Pre-treat spaghetti, ketchup, barbeque and mustard stains with vinegar and water. Use a half a cup of distilled white vinegar in the last rinse cycle of your wash to reduce static, remove mold, soften fabric and prevent yellowing. Loosen dried on food in your microwave by boiling ½ cup vinegar with ½ cup water in it. Remove and wipe the loosened food away. Freshen stained or smelly plastic food storage bowls by wiping them with a cloth dampened with white distilled vinegar. Keep eggs from cracking when you boil them by adding a tablespoon of vinegar to the water. After peeling/cutting onions, remove the smell from your hands by wiping them with a bit of vinegar. Paint designs on furniture – using the vinegar to mix with dry color like tempra powder. Remove age spots using an equal portion of vinegar and onion juice over a period of several weeks. Remove burnt smells from the house by soaking a piece of bread in vinegar and leaving it in the room with the burnt smell overnight. To get the last bit of mayo or salad dressing out of the bottle, put a few drops of vinegar in and shake the bottle. Help a kid make a volcano erupt for their science project. Baking soda and vinegar react together to cause the eruption. Keep bugs off of you in the woods – spray on equal amounts of vinegar and liquid dish soap. Dissolve warts by soaking daily for 20 minutes until dissolved with a mixture of vinegar and water. (This has been researched and disproved). Peel potatoes ahead of time and keep them white by soaking in a few teaspoons of vinegar in the pot of water. Wipe down DVD’s that are sticking in the player with vinegar and they will stop freezing up. Remove bad smells from the refrigerator by setting an open cup of apple vinegar in it for a couple of days. Make “buttermilk” by adding a tablespoon of vinegar to a cup of milk. Keep your boiled rice from sticking by adding a teaspoon of vinegar to the water you boil it in. Make marinade by combining a half cup of vinegar to a cup of liquid bouillon base. If you over salted or put too much sugar in a recipe, add a dash of vinegar to counterbalance the sweet or salt. Shine up your hair by rinsing with a cup of water and a tablespoon of vinegar – it cuts the soap residue. Keep clothing colors true by soaking in vinegar prior to washing. Clean mineral deposits from your iron by filling the water residue with vinegar, steam ironing a rag, then emptying and re-filling with water and ironing that rag again. Give it a final rinse. Keep cut flowers fresher longer by adding 2 tablespoons of vinegar and 3 tablespoons of sugar to their water. Kill dandelions by spraying the center and around the base with undiluted white distilled vinegar. Note that this doesn’t necessarily kill the roots! Get a brighter light from propane lanterns by soaking the wick in undiluted white distilled vinegar prior to use. Dissolve rust by soaking the rusted item in full strength vinegar for several hours. Remove stickers (price, bumper and etc) by spraying on vinegar/water mix and letting it soak in for awhile – then scrape off the sticker. Keep mosquitoes off of you by drinking a mix of 1 quart drinking water to 1 Tablespoon of apple cider vinegar. Splash on a combo of half water, half vinegar and a few crushed up aspirins to reduce acne. Clean your false teeth by soaking them in vinegar for a few hours. Clean tarnish off of brass by soaking it in a 1 to 10 mix of vinegar and water. Polish copper with a paste of salt and vinegar. Dissolve rust from cast iron cookware by soaking overnight in vinegar water. Put vinegar around the sides of your swimming pool to keep the flies away. Soak in a tub filled with water and 2 cups of vinegar to relieve sore muscles. Remove a bruise by placing a cloth soaked with warm vinegar and some sea salt on it. Leave it on until the cloth cools. Crisp up limp vegetables by soaking in water with a teaspoon or so of water. Clean your Jacuzzi jets by running it filled with water and a cup of vinegar. Disinfect wood cutting boards by wiping with full strength vinegar. Keep windshields from frosting over by cleaning them with vinegar water prior to that cold night air hitting them. Cook with it – make salad dressing, clotted milk for recipes, and hundreds of other dishes using it. Clean your ear wax by putting in a few drops of a mix of vinegar and water once in a while (instead of rupturing your ear drums with those q-tips). Clean concrete with a mix of vinegar and water prior to painting. Rescue hardened paint brushes by first soaking in vinegar and then bringing the vinegar to a simmer and simmering the brushes in the vinegar for awhile. Clean your mini blinds – put on a pair of white cotton gloves, dip your gloved fingers in a mix of vinegar water and run your fingers along both sides of each of the blinds. Remove dark stains from aluminum pots by boiling water mixed with equal parts of vinegar in the pot. I’ve done this – it works but leaves the pans dull. Banish fruit flies by setting out a dish of pure vinegar. Shine up old porcelain sinks and bathtubs by scrubbing with vinegar. Clean up grout by soaking with undiluted vinegar then scrubbing with a toothbrush. Fight infections (such as sore throats) – from ancient times people have used vinegar as an antimicrobial agent. Scientific studies have shown positive results from its use. Detangle your hair after shampooing by using a vinegar and water rinse. Use as a screen for cervical cancer (I’d check with your doctor on this one!). Relieve burns (including sunburn) by applying vinegar and cool water. Clean up epoxy resin using full strength vinegar. Tenderize stew meat by adding a bit of vinegar to the boiling water you cook it in. Keep the color in your vegetables when you boil them by adding a teaspoon or so of vinegar to the water. Keep pasta from getting sticky by adding a bit of vinegar to the water when boiling the pasta. Keep your chocolate cake moist by adding a teaspoon of vinegar to the cake mix. De-odorize your kitty litter box by emptying it, then putting in ½ cup undiluted white vinegar, swishing it around, then letting it sit for 20 minutes. Rinse with cold water. Get rid of that hazy film on the inside of your car windows by wiping down with vinegar water and polishing with a cloth. Neutralize garden product residue left on your hands by rinsing them with vinegar water. Kill slugs by spraying them with a mixture of equal parts water and vinegar. Keep rabbits from eating your garden plants by putting vinegar soaked cotton balls in a waterproof container with holes in the top and placing the containers in your garden. Clean plastic porch furniture with a vinegar water mix..
Use vinegar as an antiseptic on scrapes and cuts. Full strength vinegar can be used as an aftershave. Brush your teeth with undiluted vinegar to whiten your teeth and get rid of bad breath. Splash on your underarms to reduce perspiration odor (but not wetness). Drop dingy white socks in a boiling pot of water with a cup of vinegar, then let cool and soak overnight. Steam smoke smells out of clothing by hanging it over a bath filled with hot steaming water with a cup of water. Keep the door to the bath closed to get a bigger benefit. Remove salt and water stains from leather shoes and boots by wiping them with vinegar water. Shine up patent leather shoes or purses by wiping them with vinegar water. Another way to clean and de-odorize your garbage disposal is to pour in ½ cup of baking soda and ½ cup of vinegar (this will fizz up) and let it soak for awhile then rinse with water. Get the grease and stains off your glass oven door. Open it, pour vinegar over the surface and let it sit for awhile, then wipe it off. Make your dishwasher look like new by removing soap scum and residue. Run a cycle with no dishes using vinegar instead of dishwasher detergent. Remove wallpaper by spraying on a hot solution of vinegar and water equally mixed. Shine up your pennies by soaking them overnight in a bowl of undiluted white distilled vinegar. What do you use vinegar on? What other common eco friendly substance has a lot of uses? Those are some great tips! Vinegar+Baking soda is also a good and green way to prevent drain clogs instead of using vile stuff like Draino. Hmmmm, I’ll have to try that. It seems like it would fizz up pretty good? I also mix it with baking soda to clean drains. Come to think of it, my red velvet recipe calls for vinegar too! holy moly… This is a huge list. Thanks! Very creative. I personally never knew you could keep eggs from cracking when you are boiling them (among many others). It is a huge list, who knew there were so many uses…. PT- We use vinegar in the washer once in a while to help remove mildew smells from towels. And the one use I love that wasn’t on your list is with blue crabs! I make a small concoction of old bay, vinegar, and hot sauce to dip my crabs in when we have a crab feast each summer. It’s a delicious and healthier alternative to melted butter. I didn’t mention crabs because I’ve never had them – we are landlocked here in the Midwest – but what is ‘old bay’? I love balsamic vinegar on foods and salads. I understand it evens helps you lose weight. Losing weight is always something I am interested in. I saw one like that too, but didn’t actually see them list a thousand uses. Sorry if I stole your thunder on the article! Whoa, that’s a huge list. Pretty cool. Looks like a fantastic list! I don’t have time to read it all tonight, but I’m going to pick it back up tomorrow morning asap. I use vinegar for a few things around the house – but definitely not 100. I came back to read them – but I had to stop around 50 or so. I’m never going to remember them all anyway 🙂 Hard to imagine it can be used for so many things, but I know I would find myself wondering if it is the best solution to a particular problem or just “a solution”. Glad you have been so diligent with the list. Vinegar isn’t the only solution in many cases,as there are others that would also do some of these things. The cool thing is though how versatile it is. If you have some on hand, you can do a ton with it. As far as the best solution, I guess that would depend on what you define the best solution. For me something that works, that is green and affordable makes it the best solution. I love vinegar. I can drink it straight from the bottle, and I make a killer spaghetti sauce with it. But as far as other uses. I use vinegar to clean and deodorize my older dogs incontinence mishaps. I also use it as a drain unclogger mixed with baking soda – I like to think it helps with any smell in the drain as well. I’ve also tried your point about using apple cider vinegar to stop cravings, not just for sugar but all food, and it seems to work. Vinegar – it’s so versatile! I put about 1/4 cup of white vinegar in my dishwasher. The plates, glasses, silverware, well everything comes out sparkly. I live in an area with really hard water and even with the rinsing agents, I would get spots and/or a white film covering all of the dishes. Vinegar takes care of this problem. That is a great idea. I am definitely going to have to try that. Thanks for sharing. I thought I could add a few but you’ve covered every single one that I know of. I use it to run a cleaning cycle through my coffeepot, it works better than the “coffee maker cleaner” sold in stores and is a lot less expensive as well. I got a good giggle out of 20, I guess it’s better to have your car smell like a salad than the alternative.